Portland/Metro - Mainstem Columbia River anglers are readying their gear for fall salmon season, which opened up on August 1. It's still weeks away from the peak, but with the reopener, any Chinook, fin-clipped or not, may be retained. Seasons are more constrained than they have been in year's past so be sure to review updated regulations before putting any time in. Passage at Bonneville remains low for both Chinook and steelhead. Anglers remain challenged for summer steelhead on both the Sandy and Clackamas Rivers. Both remain low and are warming, making them poor options for fishing. Spring Chinook will be spawning soon, although fresh fish are still entering the Sandy system. The Clackamas has been abysmal. More trout stocking for Willamette Valley lakes, ponds and reservoirs. Check the ODF&W trout stocking schedule for nearest locations. The Tillamook Report - Wild coho still outnumber hatchery fish out of Garibaldi, but are providing fair action in recent days. The catch south of Cape Falcon remains under 10% of its allotment, and should improve in the coming weeks. Late-run spring Chinook are still being caught in Tillamook Bay although few are pursuing them. Any Chinook, fin-clipped or not, is not allowed for retention on all north coast systems. Fall Chinook won't start showing with more regularity for another month. 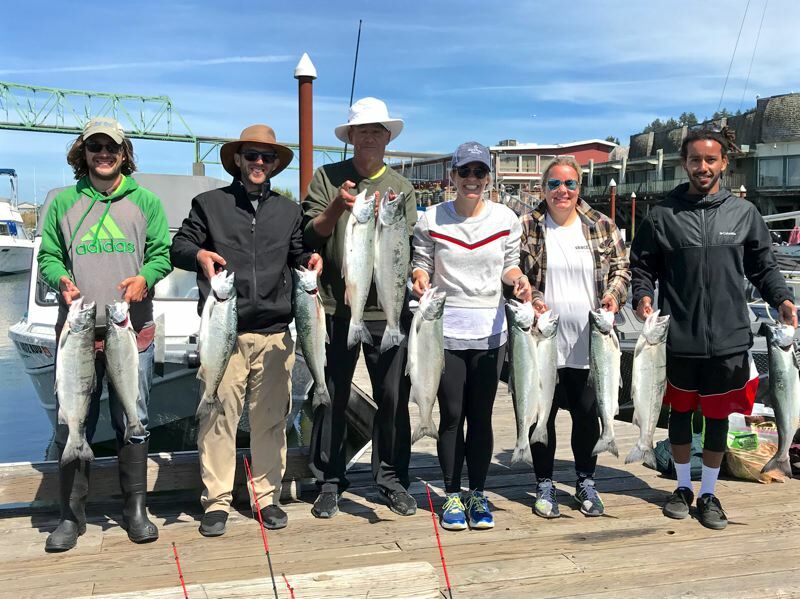 Summer Chinook remains a good option for Nehalem Bay anglers. Soft tides this week produced some Chinook at the jaws, but stronger tides will warrant more effort near the cities of Wheeler and Nehalem. The 2018 all-depth halibut season has successfully concluded. Newport remained the top port, but nearshore halibut action remains good out of Garibaldi. The long-leader fishery continues to yield limits of slope rockfish and the nearshore bottomfishing remains consistent, mostly for black sea bass. Ocean crabbing is picking up with more males moving into the shallows where recreational crabbers have better access to them. Many remain in the soft-shell state however, far from quality table fare. Bay crabbing on most estuaries remains challenging. Few are trying for sea-run cutthroat trout, but they should be populating most north coast tidewater reaches this month. They are a relatively aggressive species, taking hardware, flies and bait when in the mood. Astoria area - The Buoy 10 fishery is underway, but most anglers are underwhelmed with early season results. Chinook are being caught in the fishery daily, and the average size is fairly impressive for the few being caught. Trollers are taking the bulk of them on the Washington tide, above and below the bridge on bait or Pro-trolls with spinners or small baits. We should see some improvement in the fishery this week. The ocean outside of the mouth of the Columbia has been excellent for coho this week. Limits were common with an occasional Chinook in the mix. The best action had been at green Buoys 3 and 1 for trollers using anchovies or herring for bait. 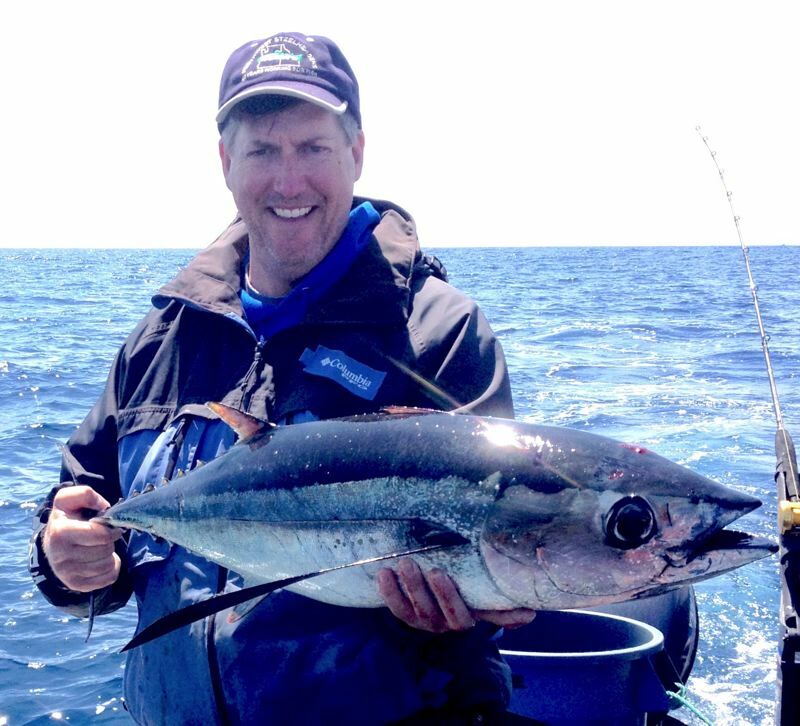 Albacore remain remiss off the north coast, but should appear with more regularity this month for anglers to pursue.